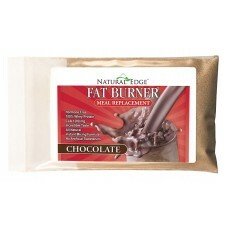 NATURAL EDGE® is proud to introduce FAT BURNER, an all natural revolutionary fat burning meal replacement. 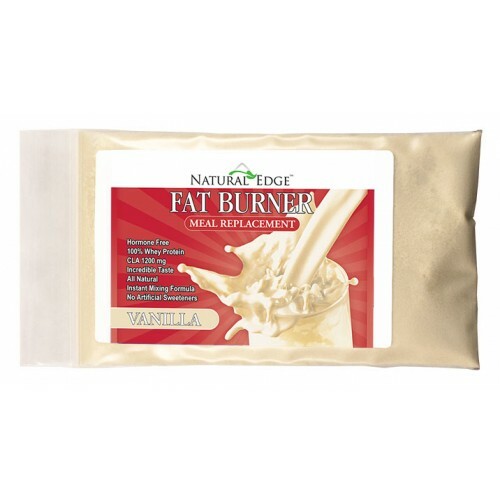 NATURAL EDGE® FAT BURNER uses cutting edge fat burning ingredients without any caffeine or ephedrine! NATURAL EDGE® FAT BURNER is enhanced with Stevia, Lo Han and 500mg of Xylitol which can promote healthy blood sugar levels and may reduce dental cavities. 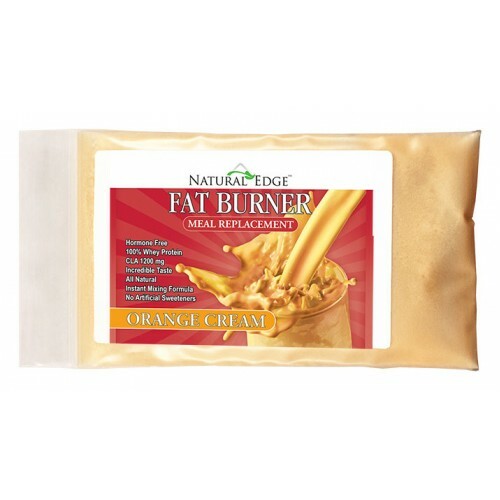 NATURAL EDGE® FAT BURNER contains no aspartame, sucralose (Splenda™) acesulfame potassium (ace-k), or artificial colors. 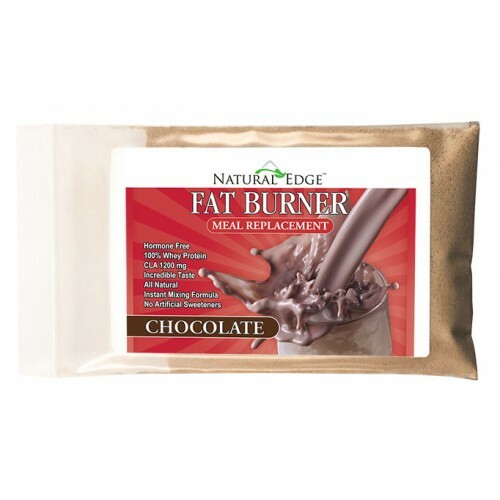 NATURAL EDGE® FAT BURNER has 25 grams of perfectly blended proteins, 6 grams of low-glycemic carbs (including 3 grams of fiber) and less than 1 gram of saturated fat. NATURAL EDGE® FAT BURNER contains no hydrolyzed proteins. NATURAL EDGE® FAT BURNER also contains the following fat burners: 1200 mg of CLA Concentrate (65% - 780 mg), 1000 mg Citrin (500 mg Hydroxy-Citric-Acid), 500 mg L-Carnitine, 300 mcg Chromium, 2000 mg Lecithin.